Leonard Wells was a north London lad who joined the 19th (County of London) Battalion after the outbreak of WW1 in 1914 and after training landed in France on 4th October 1914. In 1916 Pte. l. Wells was awarded the Military Medal for bravery in the field, then in May 1918, now a sergeant was awarded the Distinguished Conduct Medal the citation for that is below. Lond. R. I (Upper Tollington Park). For conspicuous gallantry and devotion to duty. After all the company stretcher· bearers had become casualties he supervised the evacuation of all cases to the regiments] aid post himself, under a very heavy bar- rage. Also, when acting as company quarter- master serjeant, he conducted the ration parties through heavy fire and was successful in keeping the company supplied throughout the operations. By his coolness, courage and resource he set a splendid example to all ranks. After WW1 Sgt Wells transfered to the Queen's Royal Regiment and joined the 2nd Battalion in India on the North West Frontier where he was involved in the operations in Waziristan. After further service in India the battalion returned home, after a brief stay in the Sudan to Dover then Aldershot and finally Parkhurst on the IOW before in 1939 moving to Palestine. On the outbreak of WW2 the 2nd Battalion of the Queen's moved to Egypt for defensive operations against first, the Italians then the Germans and after an abortive attempt to reinforce Crete moved to Syria. 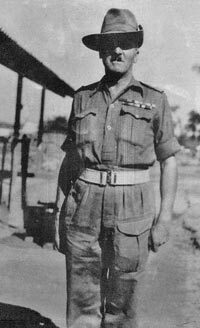 After a short stay in Syria CSM Wells along with the rest of the battalion sailed for Ceylon for jungle training before moving to India in preparation for serving as Chindits in columns 21 and 22 against the Japanese. CSM Wells DCM MM returned home in 1944 and retired from the Army after 32 years' service with the Colours.